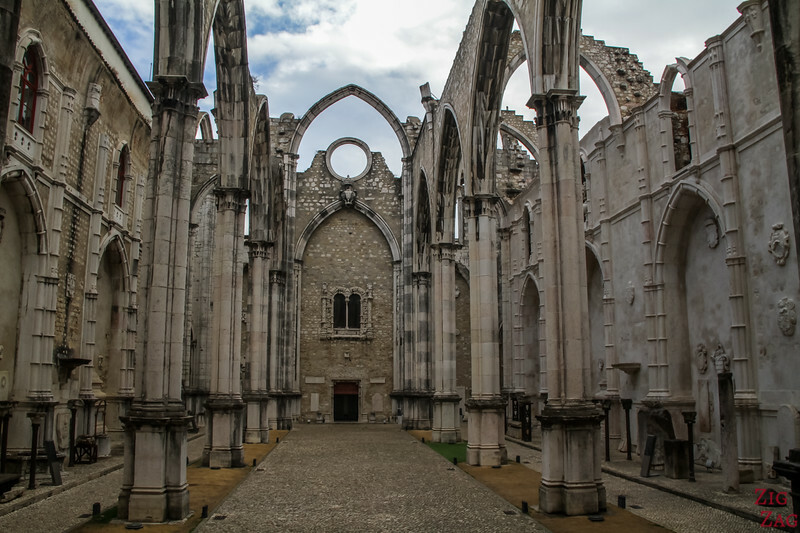 The Carmo Convent Lisbon is an essential stop on a Lisbon visit, as it one of the main remaining ruins standing after the 1755 Earthquake. 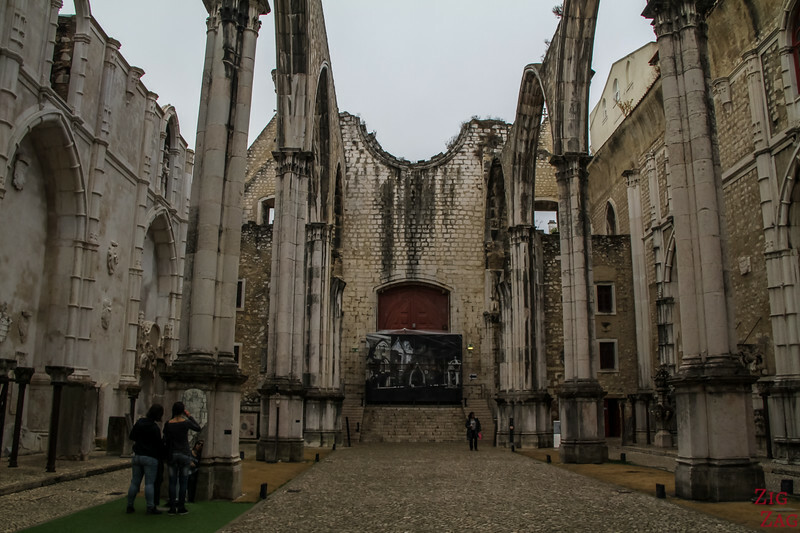 This medieval convent is now the home of the Carmo archeological museum with a wide variety of pieces to discover. 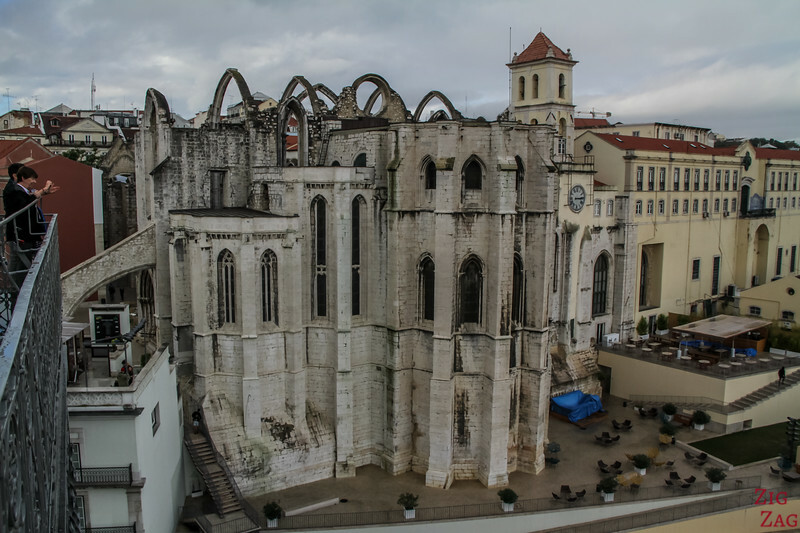 One of the best views of what remains of the Carmo Convent Lisbon is from the Santa Justa Lift viewing platform. 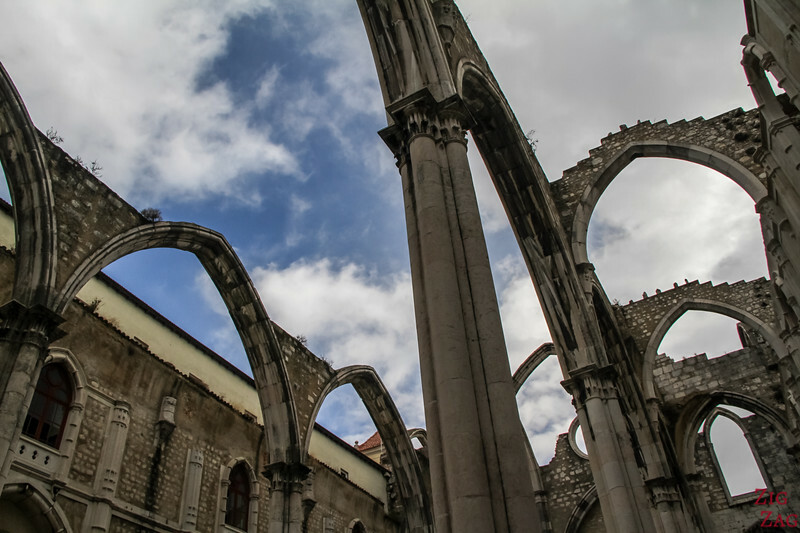 If you take the elevator from downtown and climb to the top you can see on one side amazing views of Lisbon and looking towards the back you discover the ruins of the Carmo church, the only still standing walls and arches of the convent. 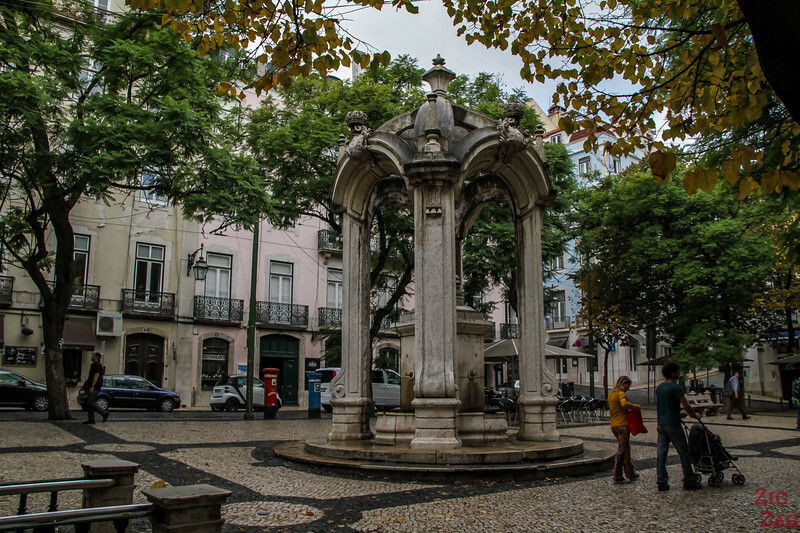 The entrance to the ruins and the museum are from the small and charming Largo do Carmo place with a nice fountain in the middle. 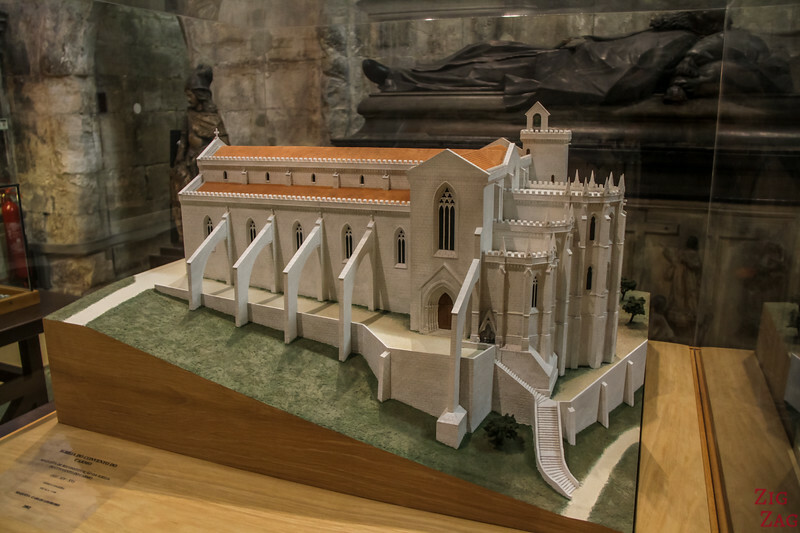 Before I give you a few facts, let's note that the Carmo Convent church in Lisbon should not be mixed with the Igreja do Carmo church in Porto. 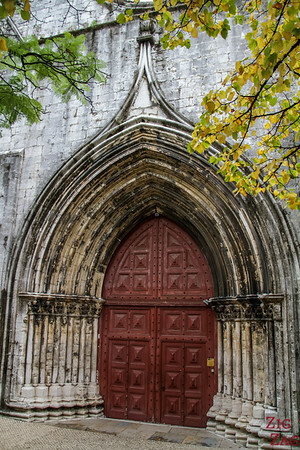 It is another famous church but quite different. More info on the Wikipedia Page. Upon entering, you first discover the nave of the church. The roof has been left open in memory of the earthquake. 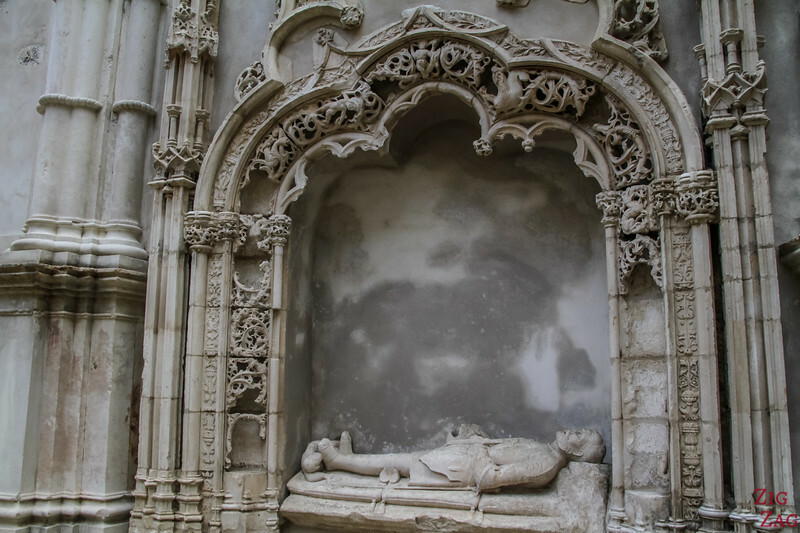 Some of the arches were repaired. 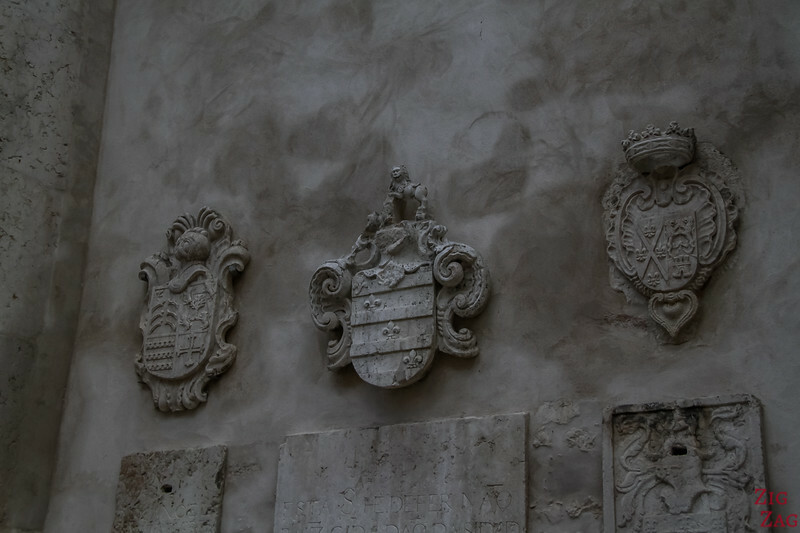 It is quite an emotional place to the symbol it has become. Seeing those arches without the roof is quite impressive. After the open air part, you can enter the section which still has a roof. 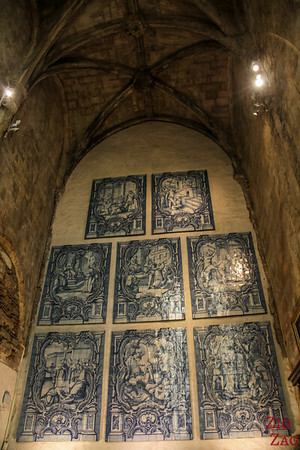 This apse has a main chapel and four side chapels. 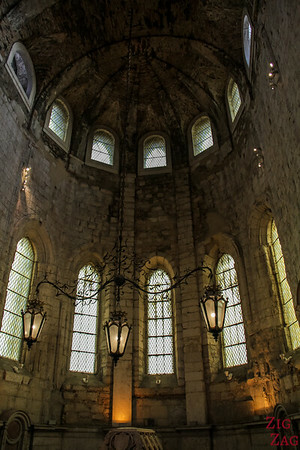 There is a nice play of light inside with the tall walls and various windows. 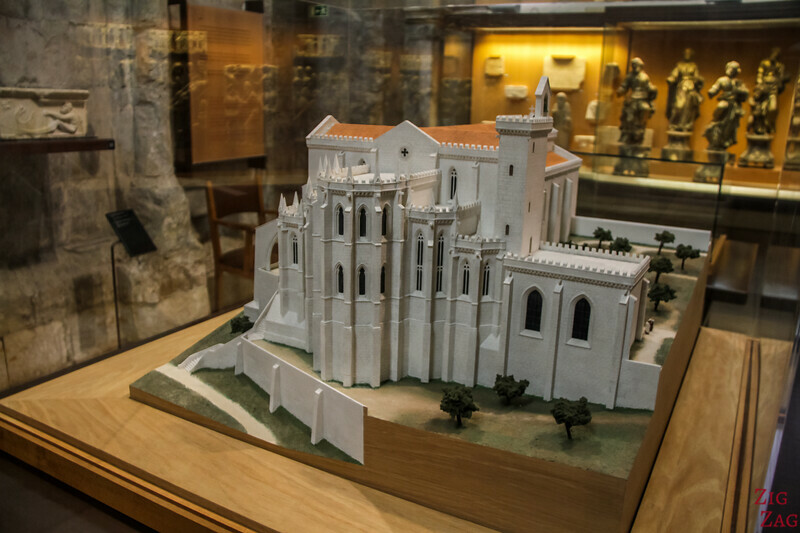 The Church of the Carmo Convent Lisbon are now the home of the Carmo Archeological museum (Museu Arqueológico do Carmo). Outside are fountains and structural pieces and stone art. 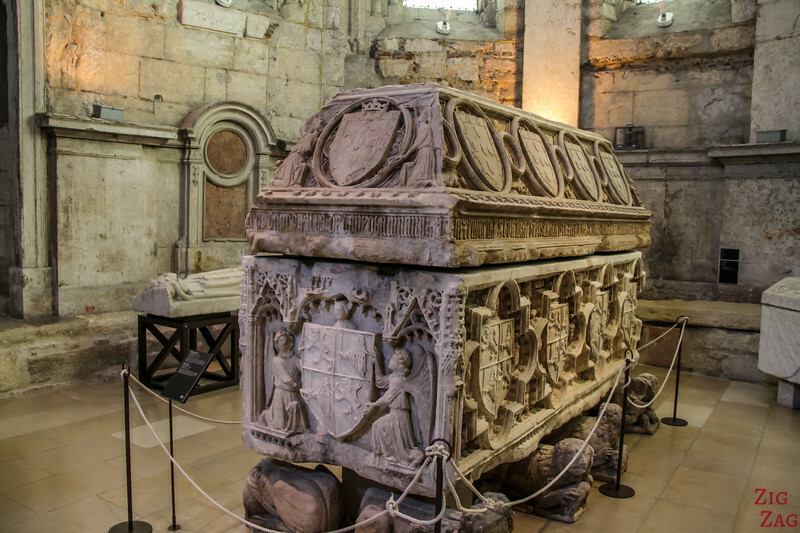 Inside you can find tombs with intricate carving work. 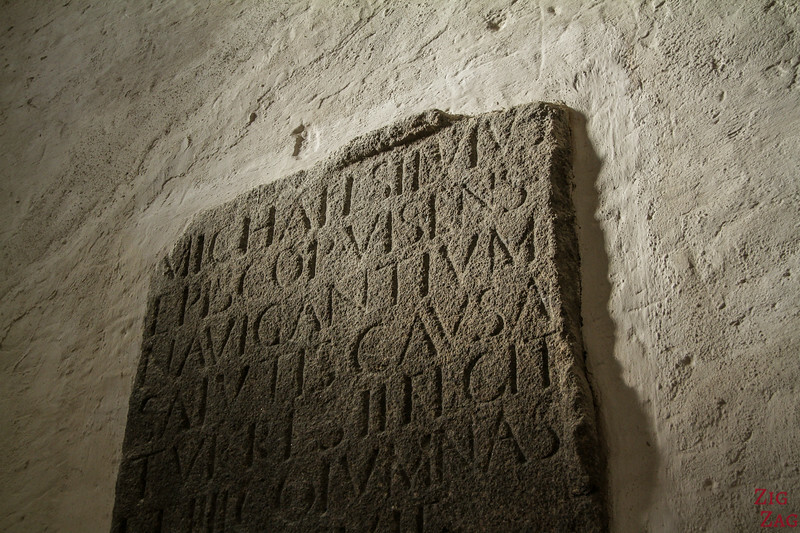 The most famous if the one of King Ferdinand I. 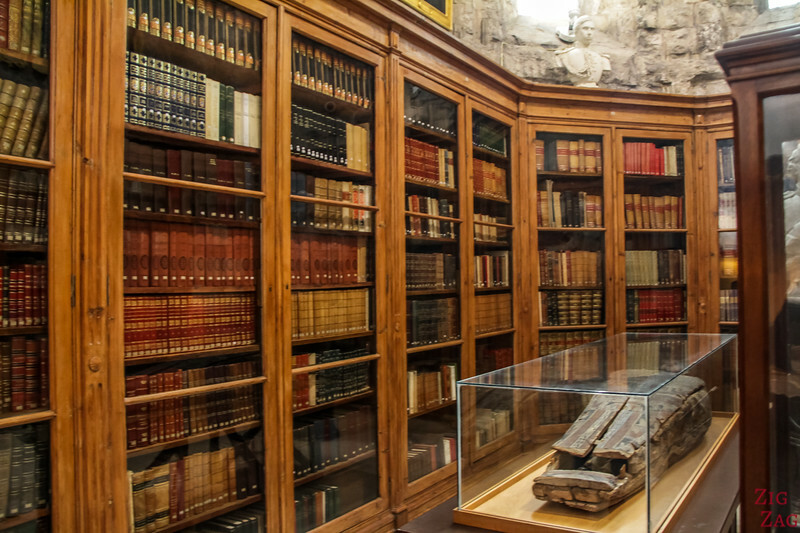 Some book are still in display to remind of the huge collection which was lost during the big earthquake. 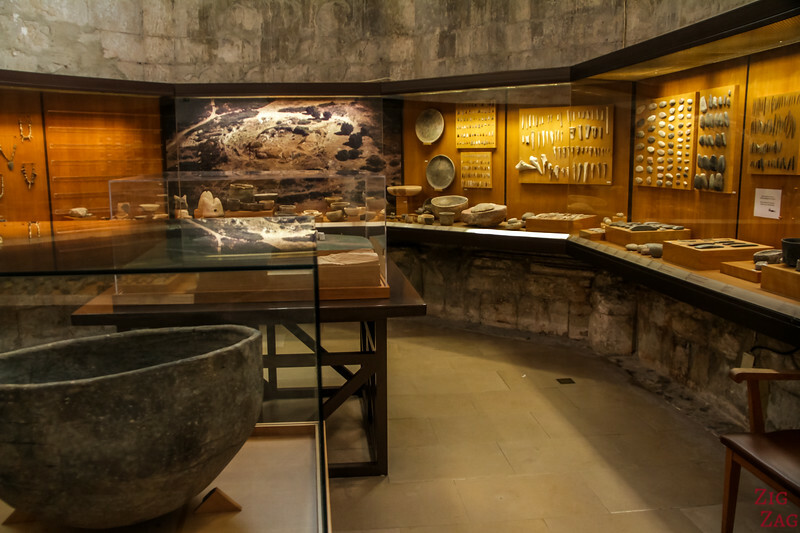 You can also discover older archeological pieces and tools from the Bronze age and later. It is a small museum with a big variety of pieces... no time to get bored!